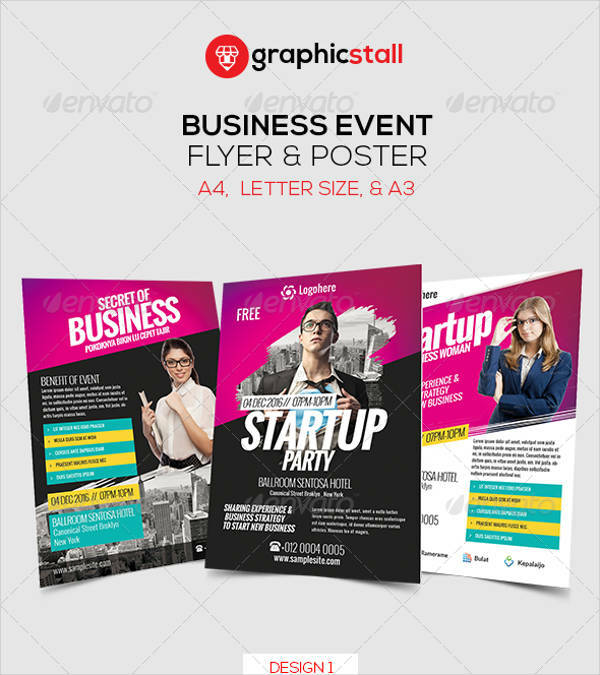 Flyers are money-saving advertisements that are done on paper but can also be sent virtually. It contains valid information that attracts and reaches a wide range of audience targeted by businesses, individuals, or organizations. 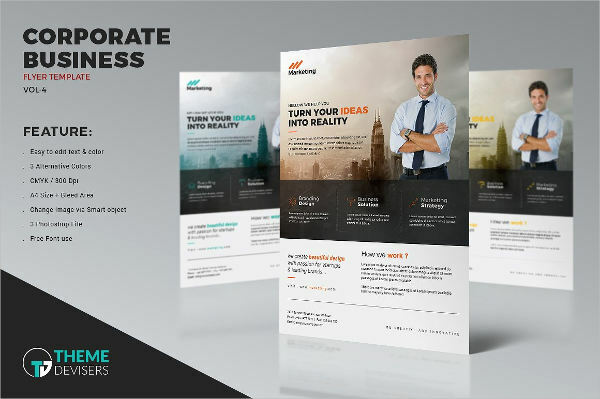 It can be done from scratch with your chosen layout or you can search for free flyer designs to get started. 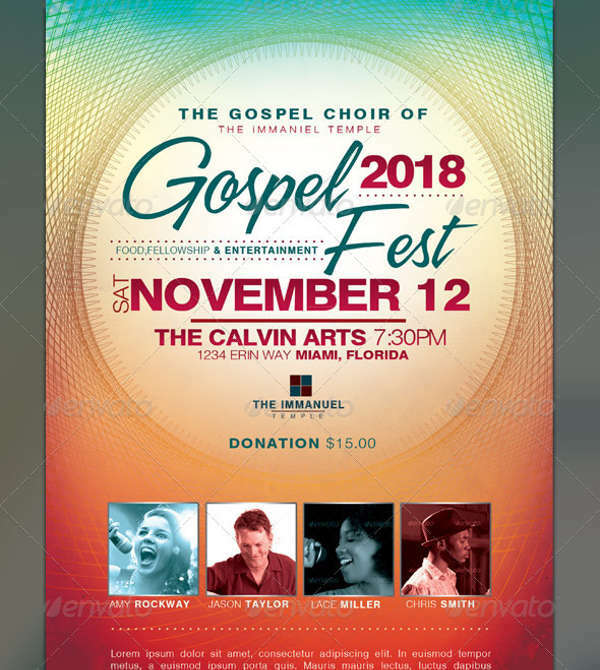 Events organizers use flyers as a promotional method. It contains the reason for the event, the time, date, and location where it will be held. It is given to people with the aim of getting them interested enough to attend the said event. Persuade more attendees with this low-cost ad. 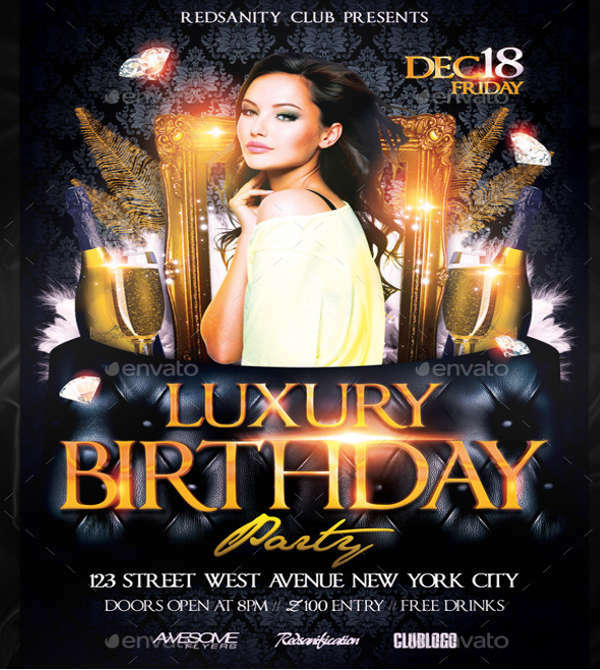 Needless to say, flyers are multipurpose and can be used in the majority of occasions such as party flyers. To note down a few check this list of events where you can use flyers for promotion. 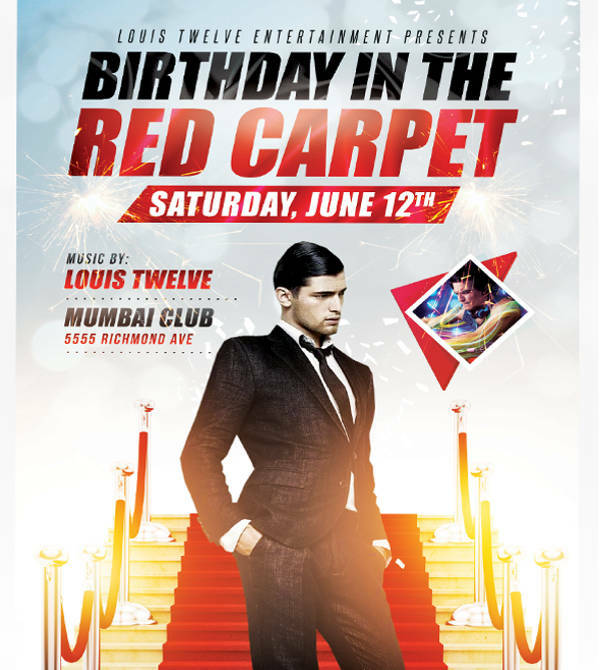 In this list, you will see what the occasion is and what could be written on the flyer. 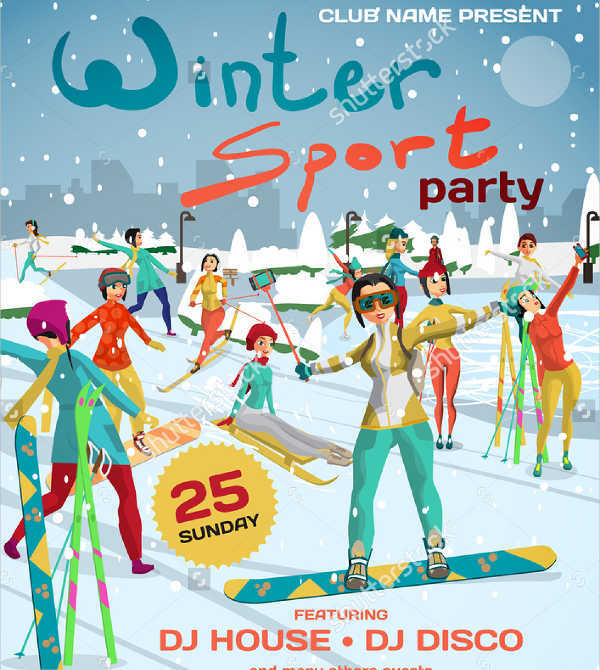 Sports events are not limited to tournaments, exhibitions, or a friendly competition. This is to encourage interested participants to join in or register for the event. 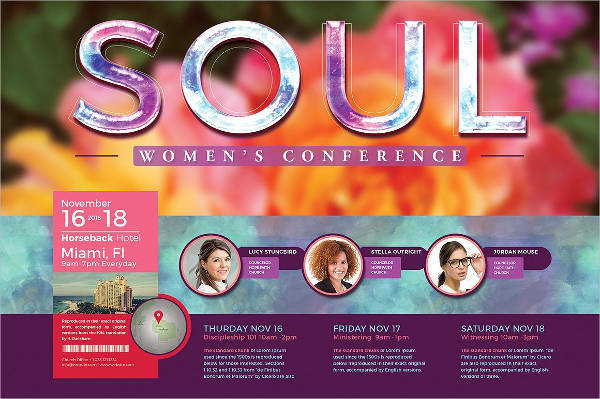 The target of this flyer designs is not just attendees but people who compete as well. 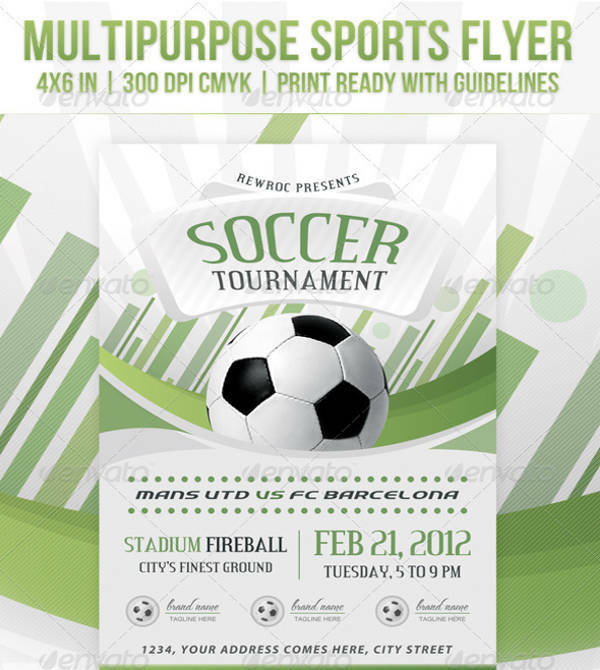 The content of sports flyers includes basic details and how participants can register. It may also include teams who might compete and the equipment to prepare. Seasonal Events, like Christmas, Halloween, Easter, New Year, Valentines and other yearly holidays are those that are considered to be the seasonal events. It happens once a year and what better way to celebrate it than by gathering as many people to celebrate with you. 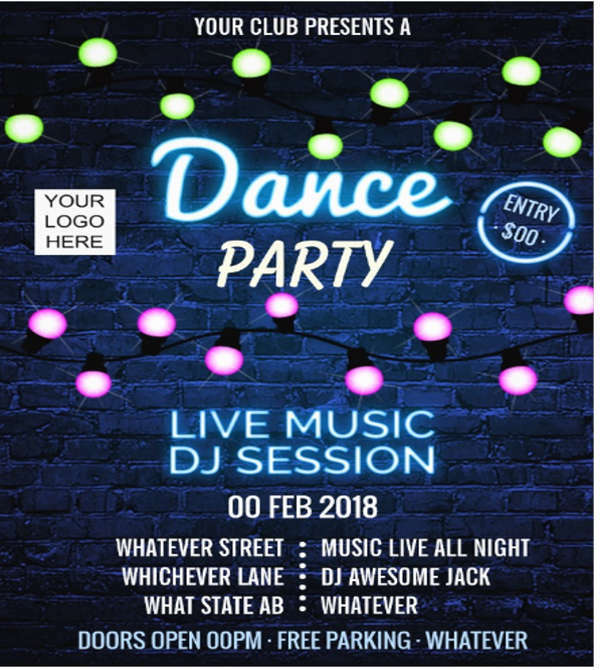 When throwing parties such as these, you need to send the flyers at least a few weeks before it happens. You don’t have to sweat out the invitations during these events. Match your design with the occasion and you are good to go. 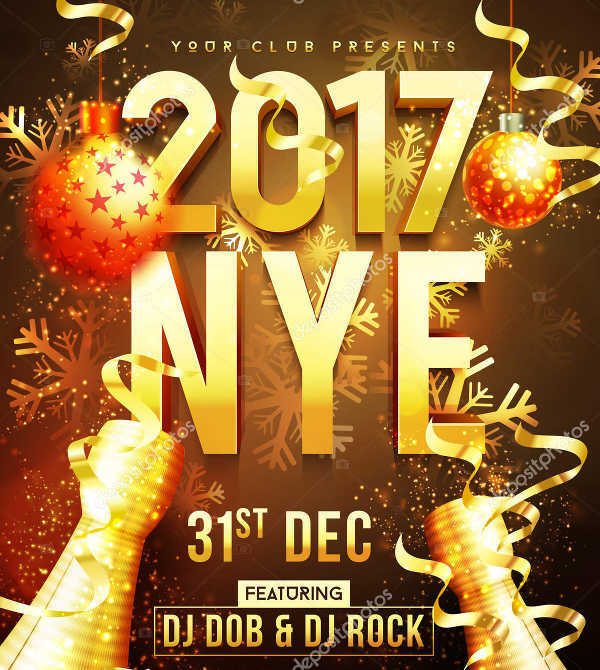 When a club hosts special events or a has a guest DJ, they are most likely to put up flyers for faster dissemination of information. They put it up on doors and other obvious places or some other times they post a virtual flyer online. 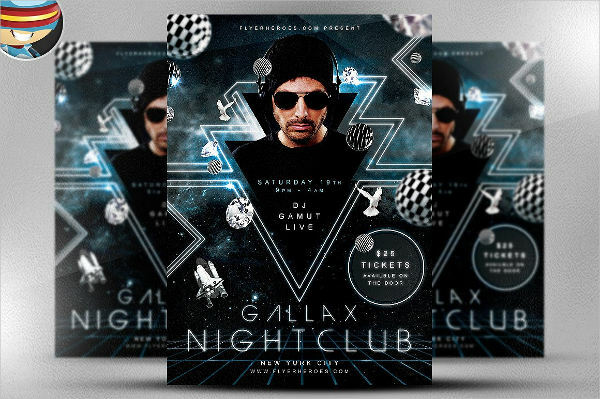 Most designs of these club flyers are modernist and use glowing effects. It hypes up the audience for the show even before it happens. This is helpful to gather more people to join the fun in the party. 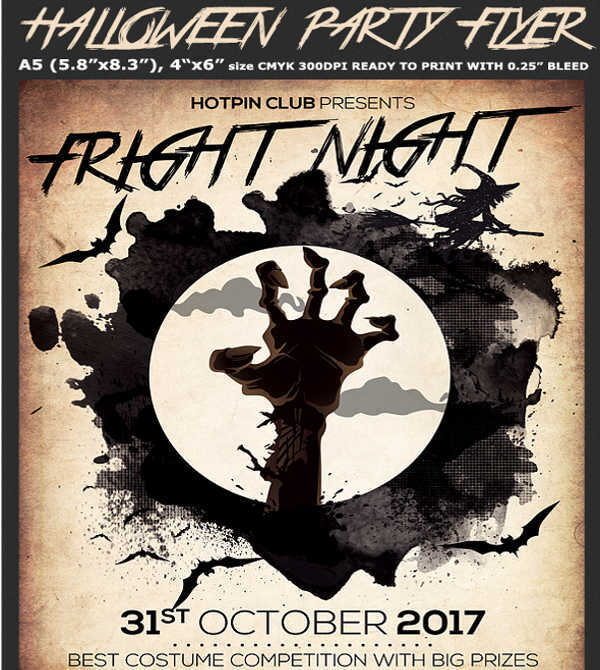 The contents usually include the list of DJs, any promos that come with it, and details of the event. 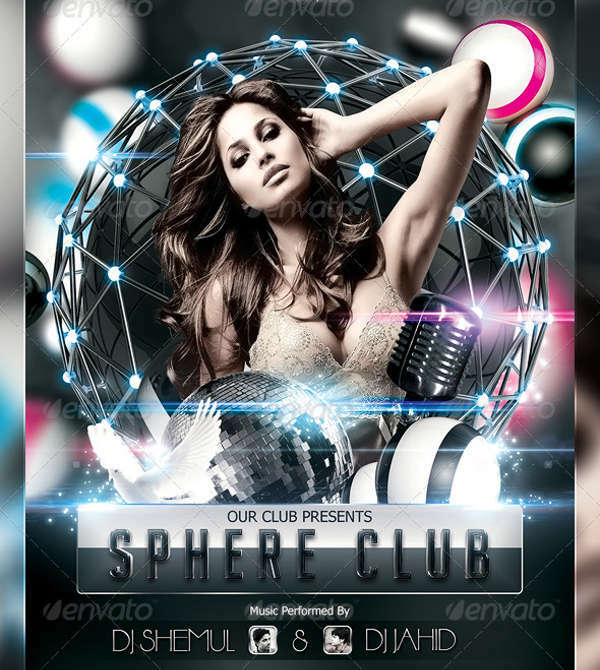 Just like in clubs, flyers of musical events are given to draw more audience to attend. They can be for a concert, a music festival, or an open mic. Depending on the reason, the content would most likely include the names of participating bands or artists, those headlining the event, the set list to be played, and the details of the event. 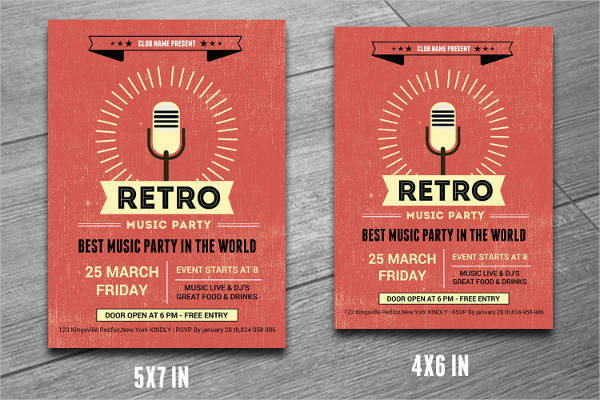 Unlike others, flyers for musical events don’t have definite designs. 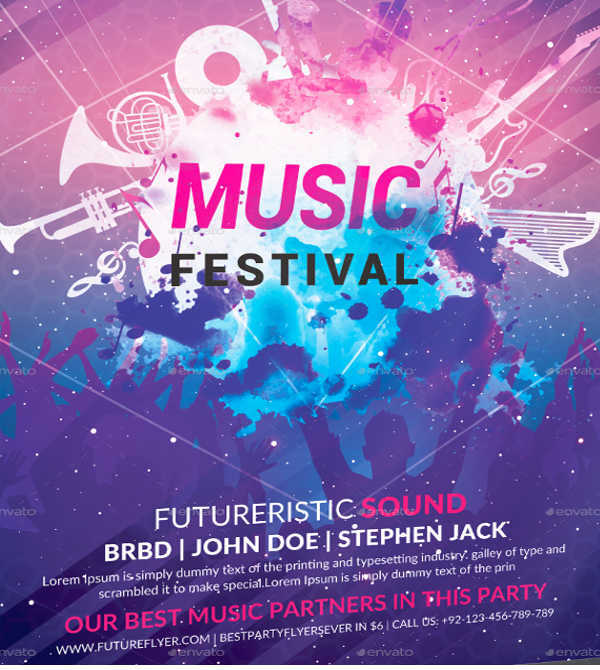 Most flyers just go along with the genre of the musician that will be playing. Country music are more laid-back while pop will have more flashy designs. 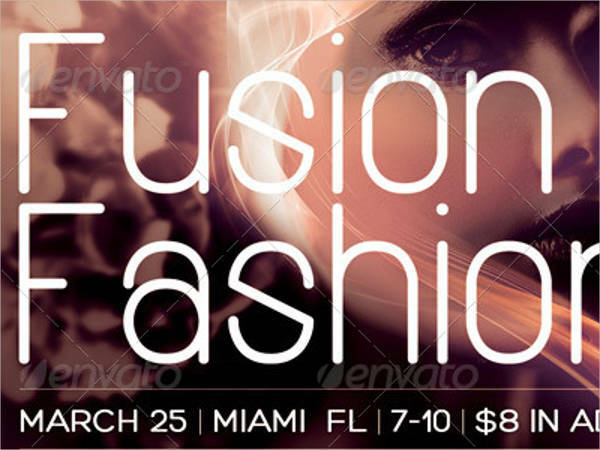 Fashion event flyers are often sent to encourage people to watch the models on the runway. 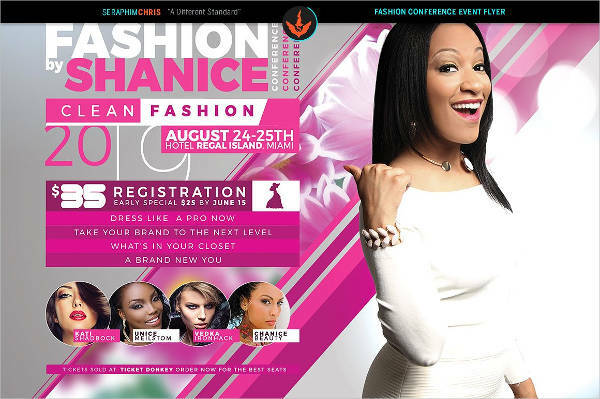 Though, there are times that fashion event flyers are sent as well to call the attention of interested participants. It can work both ways. 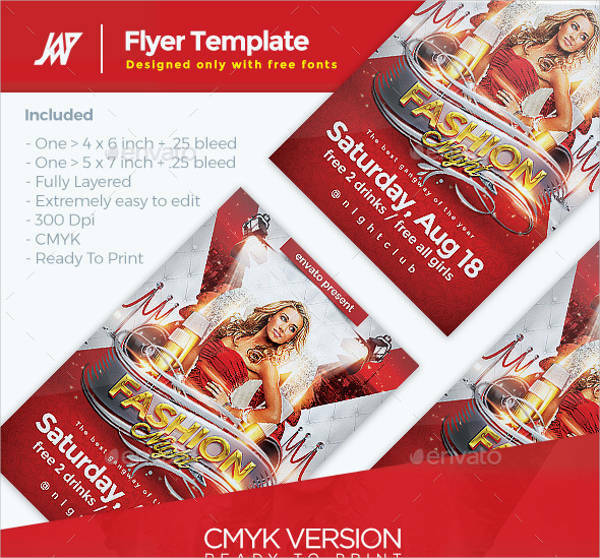 Most fashion flyer designs stand out because they are typically artsy and creative just like the fashion printable brochures. 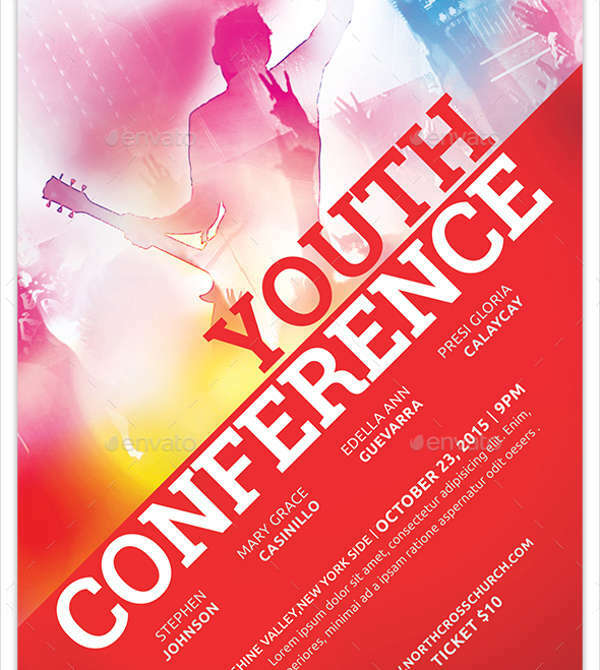 It showcases the amount of passion the event has and to deliver the message, the flyer is very much designed. 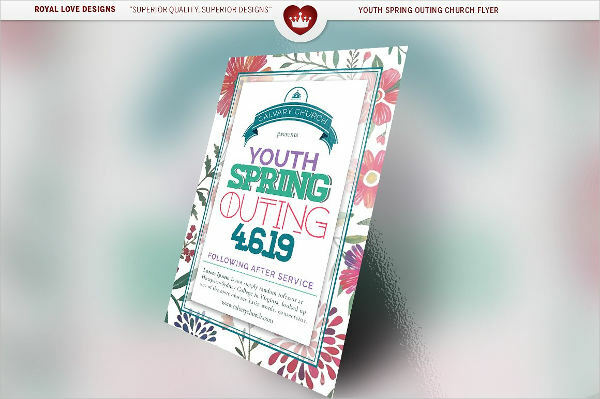 Though not common, church flyers are given in order to invite people to join church-related events. They mostly have symbols that are common in the religion or denomination that are sending out the invitation. Usually, a theme or a verse is written on it that relates to the event. The designs are kept minimal so it follows the virtue of simplicity most church adheres to. No design is perfect. However, it doesn’t mean you can’t avoid making mistakes when making your own design. 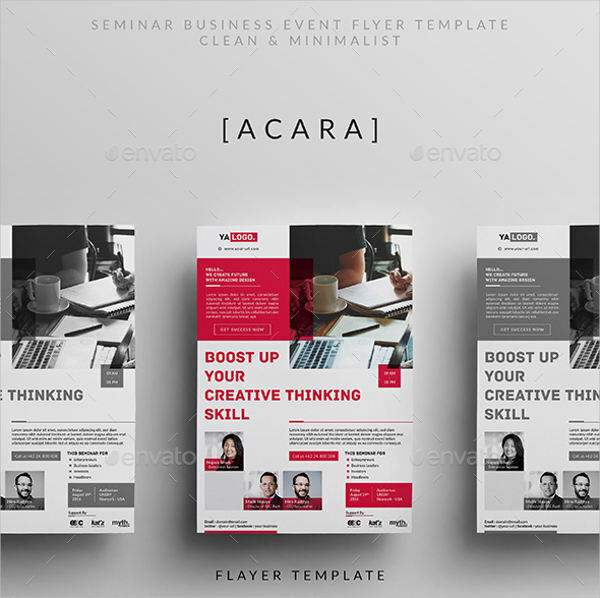 Even if you downloaded a free flyer template online, you still have the chance of committing one of the common mistakes in flyer making. Listed below are the common mistakes, their explanation, and some supplementary ways that can help fix the mistake. Read the list of things to avoid before starting your own project. Information Overload – Overwhelming your flyers with too many words will only lead the recipient to skip the large blocks of texts, defeating the initial purpose. You need to cut to the chase and be straightforward with your content. Although, you have to keep it brief and concise as well. Point out the most important information. 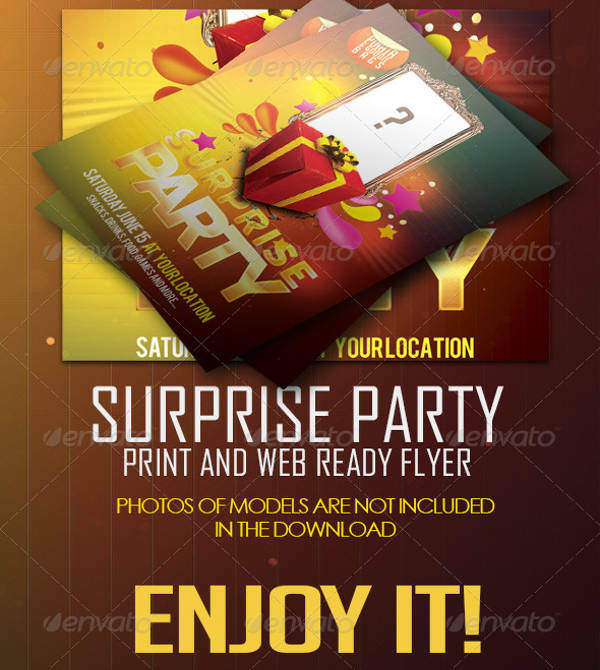 Any supporting detail can be skipped in the flyer and can be explained later on using a separate medium. This way, your thoughts are kept organized in a readable quantity of words. Not Proofreading – Given that you have a very concise content on your flyers, readers can then easily spot any mistake such as a typo or a grammatical error. Because of that, you have to double check your content. Proofread your designs all the time before running it for production to avoid any product recall. The sooner you can spot the error, the sooner you can fix it. 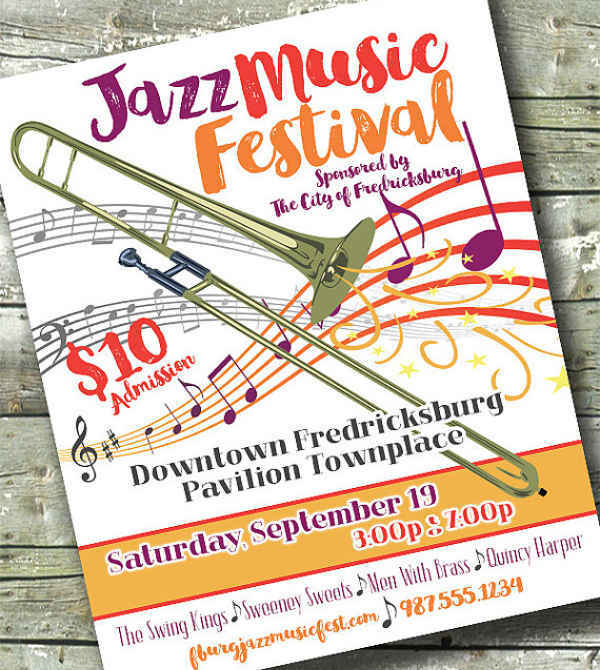 Using the Wrong Typography – Fonts do matter in flyers. Unless it’s an advertising poster. 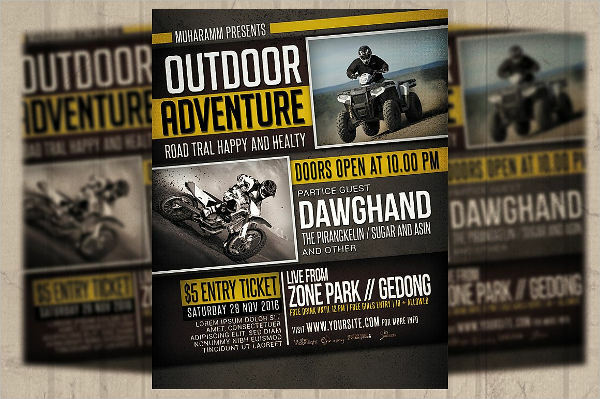 Do not use grungy texts over formal flyers in the same way that you do not use cursive fonts on modern flyers. 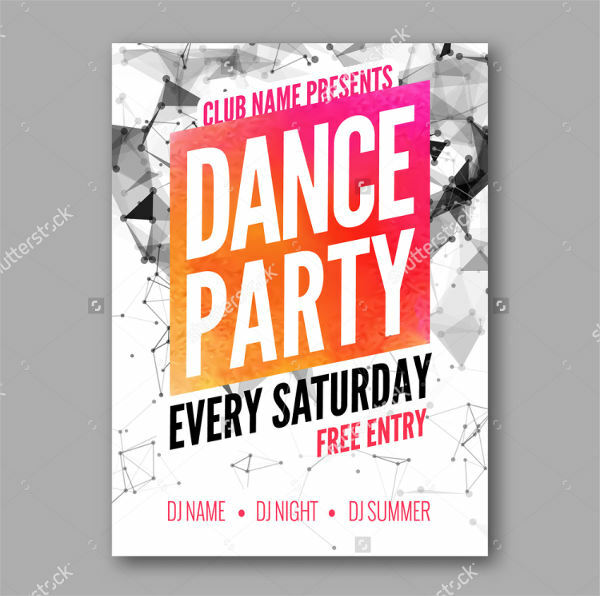 Using a bad typography will affect the whole look of your flyer. There are plenty of fonts online that you can choose from. Aside from that, you have to select fonts which are legible for your texts too. Sometimes, the font would look good on its own but would look terrible when applied. Select wisely! 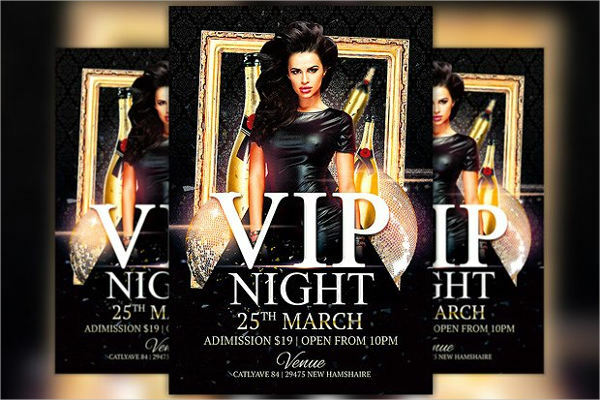 Using Too Many Graphics – Although you would want to be illustrative on your flyers, using too many images can be annoying. 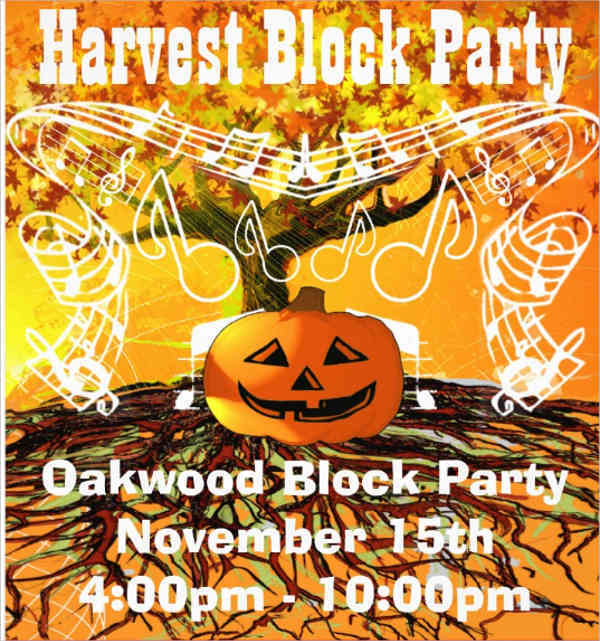 Instead, you can select a few and blow it up into large images that will look okay on the flyer yet informative at the same time. Too many graphics will only overshadow your content. The best way to do is to block the positions of the images along with the texts to see which areas should be removed and which ones should be kept. 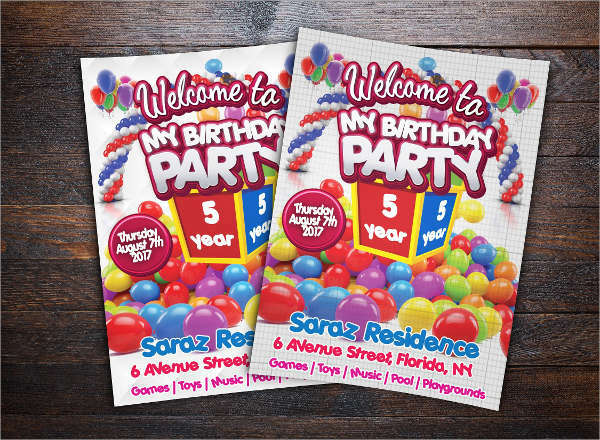 Distorting Pixels – When you render your design, make sure that the pixels are good enough for large and small-sized print flyers. Using distorted images or pixelized graphics is definitely not ideal. It would make the flyer unclear and not pleasing enough for readers. Invest in good quality graphics to ensure that the outcome of your designs is suitable enough. Readers as well wouldn’t want to be looking at pixelized designs unless you are aiming for a retro pixel-graphic style. Copying Branded Designs – Above all, do not copy designs from others. Although it is rather catchy to see branded logos customized to your own liking, you have to remember that these designs are patented. Avoid any legal infraction that you might face for doing so. 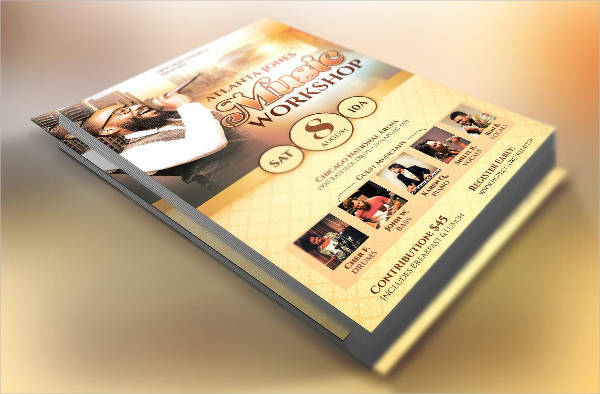 You can start from scratch to secure originality or you can look for a sample to use on your own flyer design. Establish your own brand with your very own logo. You can give away your flyers in various ways. Some of which may cost you, while others can be done with little to no effort at all. 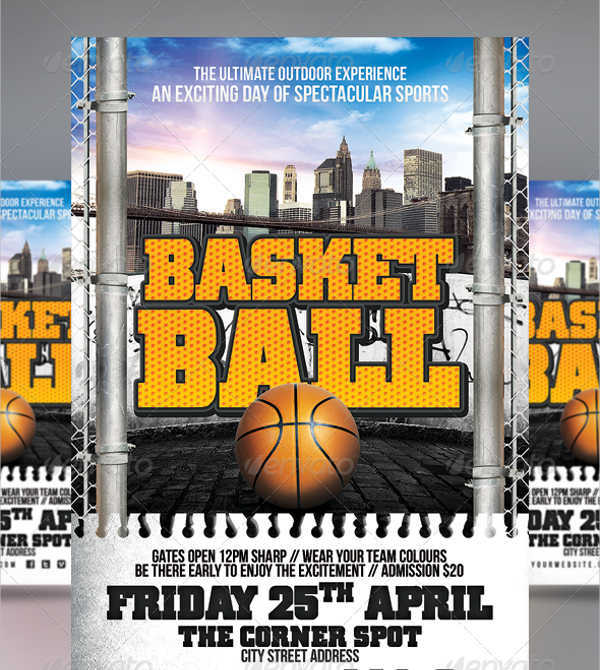 Here are some ways on how you can send away your flyers be it a sports flyer or a party flyer. Refer to this guide to find out the best method to use for your purpose. Bulk Distribution – This is what you use when you want to easily dispose of all of the flyers you have on hand. 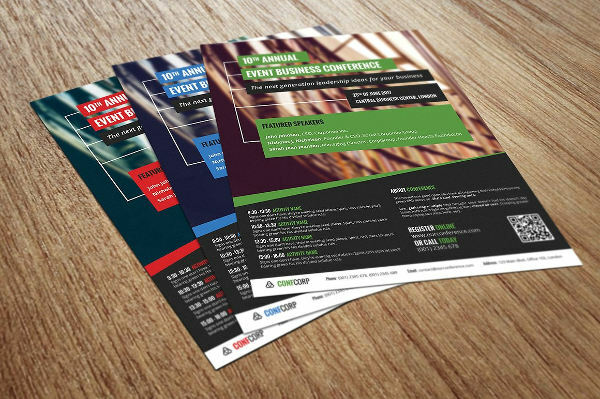 You send the flyers to your partners or to sponsors in bulk and leave it to them to distribute the flyers for you. Giving out flyers in public is considered bulk distribution too. This is because you target a large number of audience and release it to them at once. This is effective for companies or institutions who are connected with a lot of people. This will cost you less since you have others to do the job of releasing the flyers instead of you doing it. Single Distribution – This is when you hand over the flyers personally to a person at least one at a time. One example of this is when you have a one-on-one session with anyone and you give them the flyer as a sort of invitation to an event. 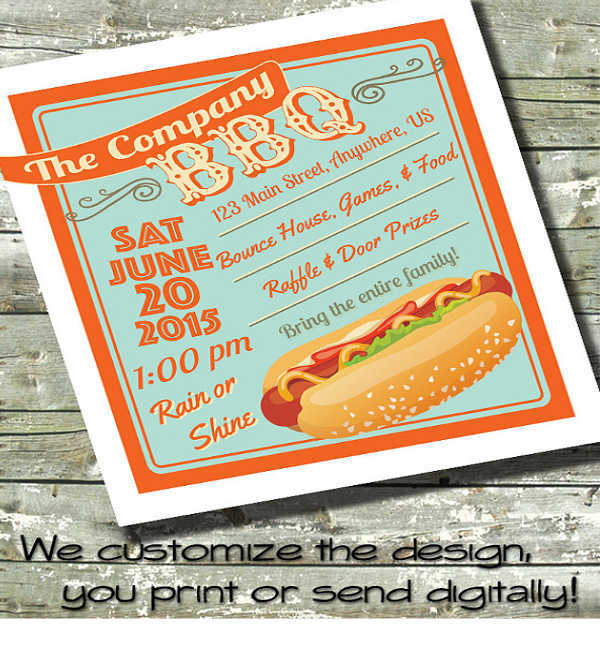 Another one is when you actually mail the flyer to someone so they can attend your invitation. Single distribution is more of a private way to draw in people to join the event you are inviting them in. 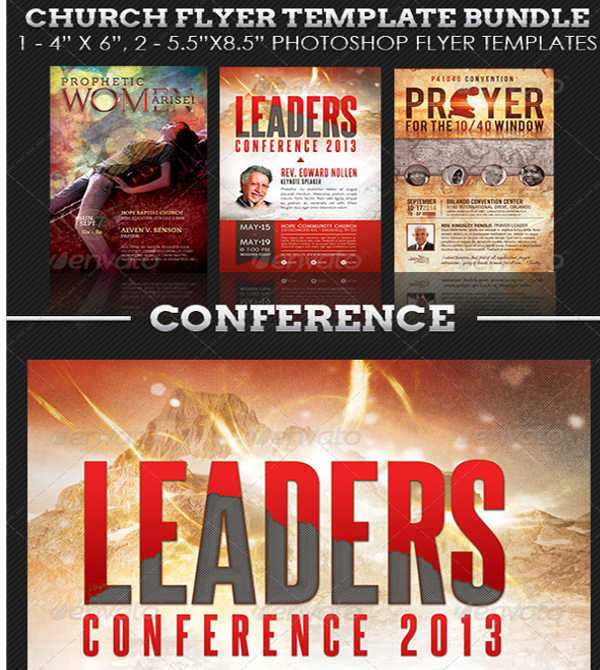 Email – Virtual flyers are also a thing nowadays. 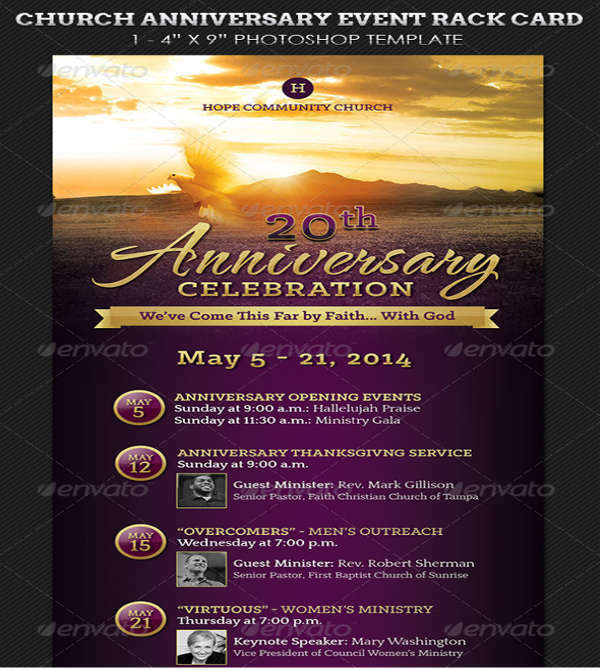 You won’t need to print out hard copies of the flyer design. 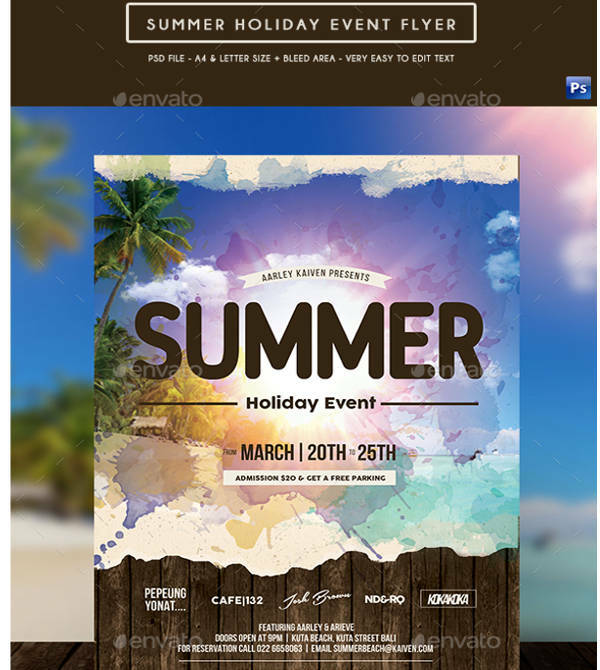 Use the soft copy of the design and send it directly to anyone via email. This way they can get it as soon as you sent it without spending extra for rush charges. You get to save time and money while reaching a broad number of audience. If you are low on the budget you can use this method. Aside from email, you can also use famous social media platforms that allow attachment to send away your invitation.